We’ll keep track of your daily mileage. Each day, sign in via the Raceday website (racemenu.com/raceday), or on the RaceMenu Raceday iOS mobile app (which you can download from the App Store). Please note that the app will not be live until January 1, 2019. 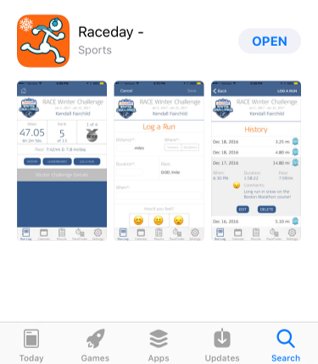 The new Raceday iOS app for logging miles will be released and available for download from the App Store on Janaury 1, 2019 at racemenu.com/racedayios. 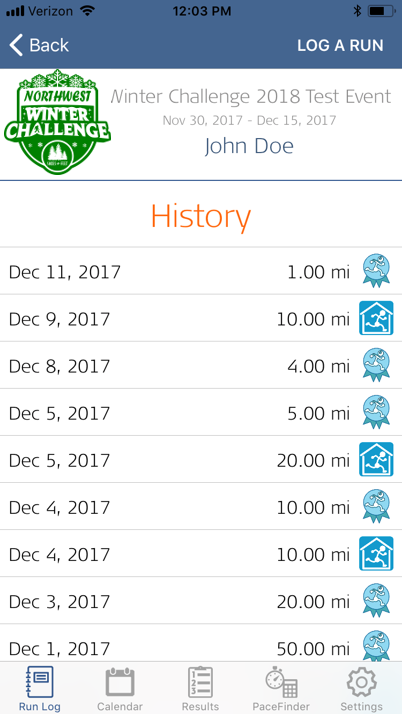 Please do not attempt to log miles prior to January 1st as the app will not be active for participants until January 1st, 2019. 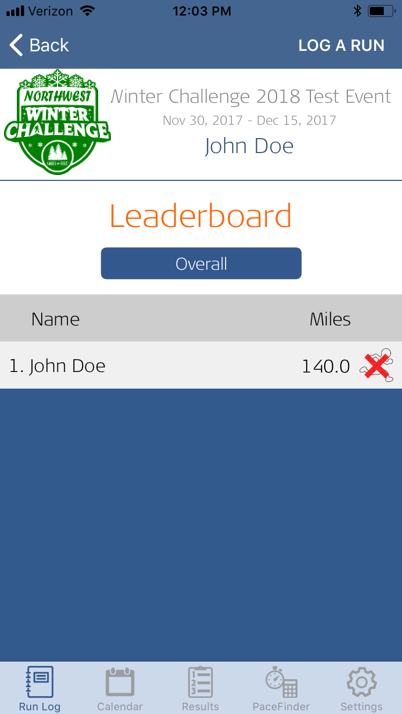 There will also be a web version for logging miles and viewing the leaderboards from any device at racemenu.com/raceday. Check here for the FAQ page. Logging your miles: You must log your miles using one or both interfaces described below. You'll have four days to log each daily run. 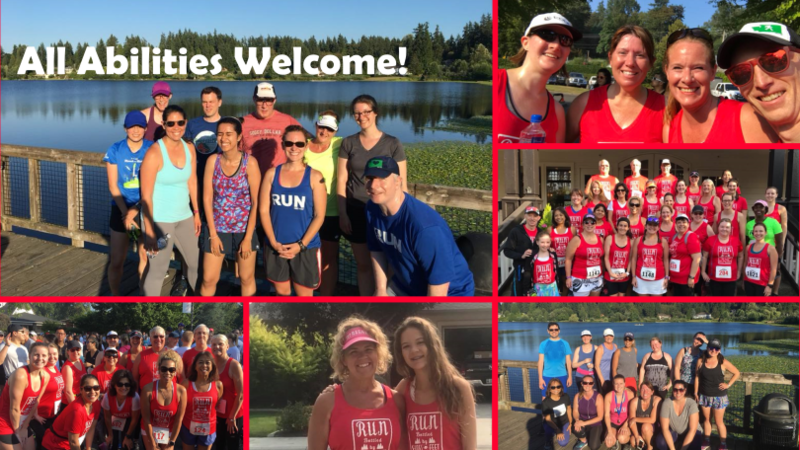 For example, you have until 11:59pm on January 5th to log your January 1st run, or until 11:59pm January 20th to log your January 16th run. If you miss the 4-day deadline, you're out of the challenge--no exceptions. The tracking apps will be live on January 1st. There are two methods you can use to enter your walks/runs. Apple IOS app for iPhone: The new Raceday iOS app for logging miles will be released and available for download from the App Store on December 31st at racemenu.com/racedayios. If you have a previous version of the RaceDay app, you must download or update to the most recent version get connected. Logging-in to the apps or web interface: Remember to use the exact login format that you used to register for RaceMenu when you registered for the event i.e. if you connected via Facebook, Google etc. you must login the same way. OR If you used an email to create your RaceMenu account you must login that way. If you have trouble with logging your miles: For technical support, i.e. "I can't login to app," please contact RaceMenu at hello@racemenu.com.YYou can find additional help on the RaceMenu FAQ page. 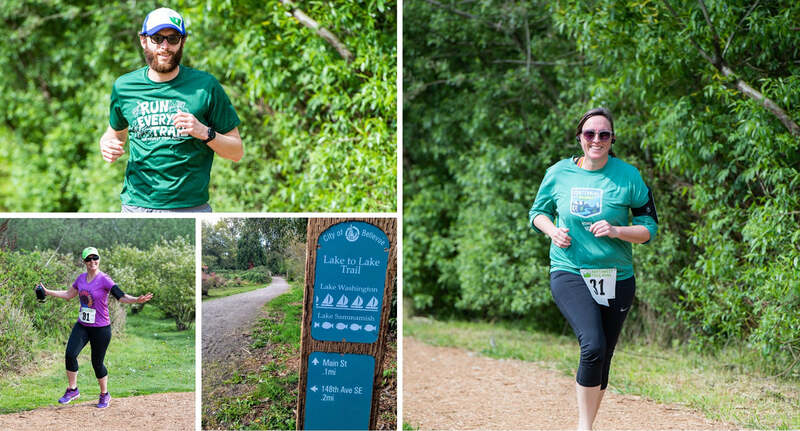 Below you'll find step-by-step instructions for logging your daily runs and walks. 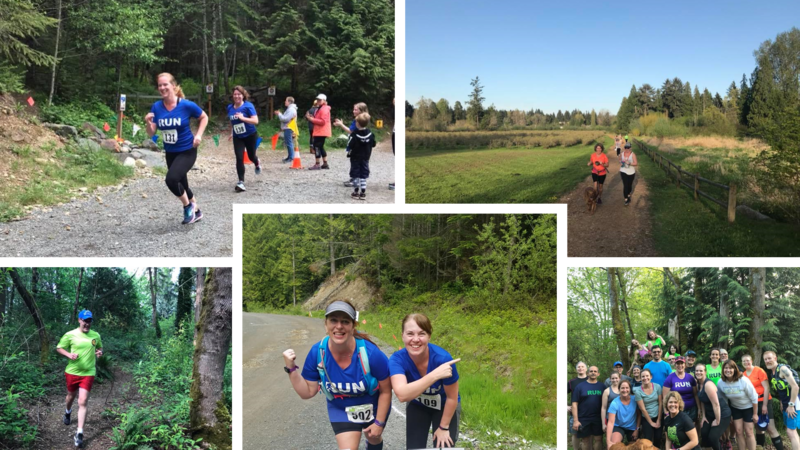 For other contest questions (non-technical), please contact Adam Stuhlfaut, CWO Chief Warrior Officer @ SHOES-n-FEET at adam.stuhlfaut@shoesnfeet.com. •Option 1: iPhone users, download the Raceday iOS racemenu.com/racedayios app from the app store. 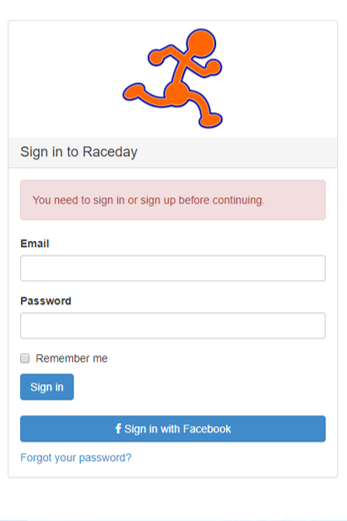 •Option 2: Desktop or non-iPhone mobile users, log into racemenu.com/raceday from any web browser. •You must login with the same email and password OR connect via the same Facebook account that you used to register. 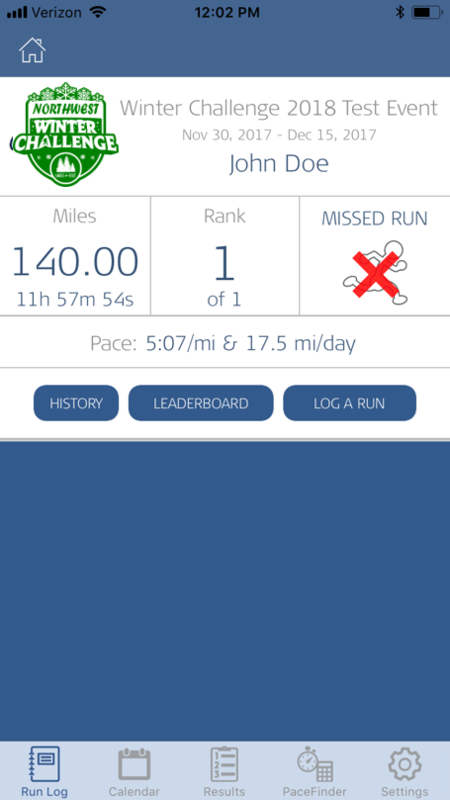 •iPhone app users, if you don’t see this screen verify that the “Run Log” button is on the bottom menu. 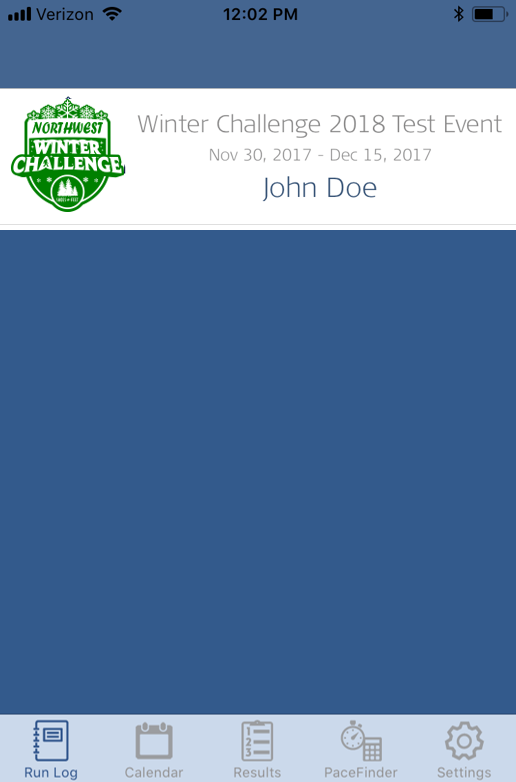 Tap that button if you don’t see the “Northwest Winter Challenge” listed above. •Fill in everything but “Pace” (that will be calculated for you). 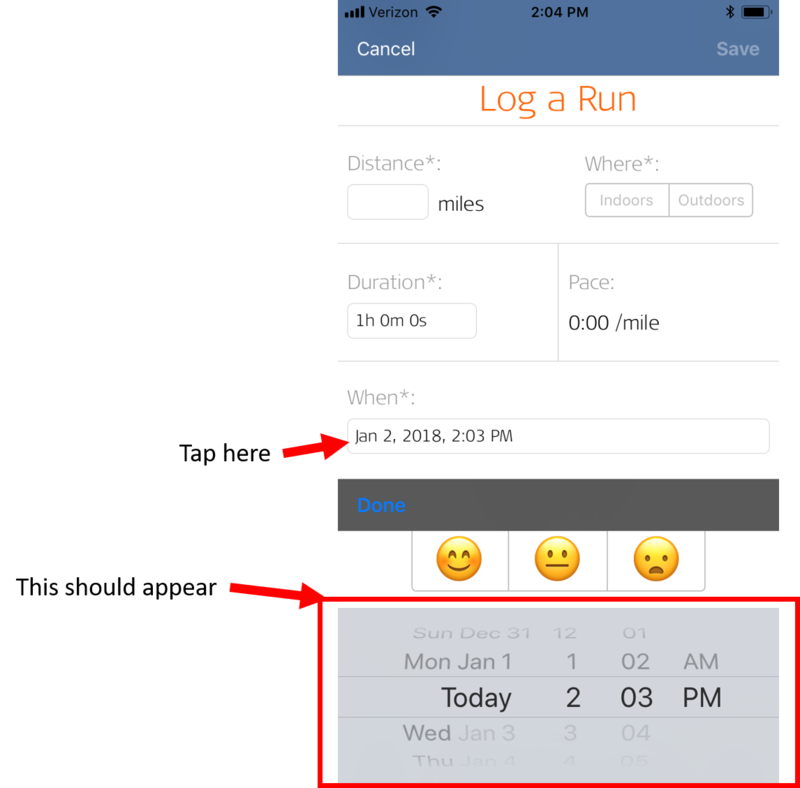 If you need to backdate a run/walk, tap or click on the date and either a calendar (RaceDay website) or scrolling number bars (iPhone app) will appear. Below is an image of the iPhone app. •The default view is the overall ranking. To see other categories, i.e. gold, silver or bronze, tap the word "Overall" to choose another category. •Tap on any line to see details. For technical support, i.e. "I can't login to app," please contact RaceMenu at hello@racemenu.com. You can find additional help on the RaceMenu FAQ page. For other contest questions, please contact Adam Stuhlfaut, CWO Chief Warrior Officer @ SHOES-n-FEET at adam.stuhlfaut@shoesnfeet.com.